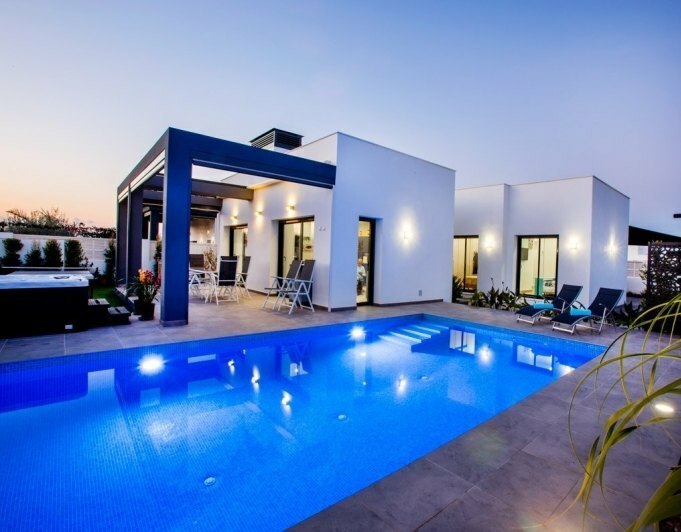 Villa in Els Poblets of new construction for sale, located in a complex with communal swimming pool. The House has three bedrooms, two bathrooms, a toilet and living room, as well as kitchenette, terrace covered and open, carport, double glazing, storage room and laundry. It is the only independent chalet with view of urbanization, the others are all attached. 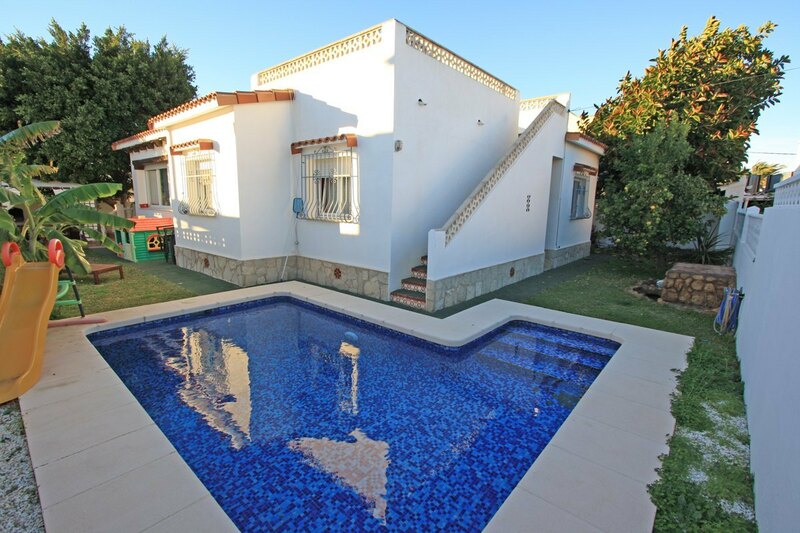 The villa has extras such as: air conditioning and heating, satellite TV. Year 2018 construction. South facing. Sold furnished.